Get the news and stories from RT on the US federal executive departments, including the US Department of State or the State Department. Find news on functions, activities and responsibilities of US State Dept. The US State Department advises the President of the US and represents the country in the international affairs and foreign policy issues. 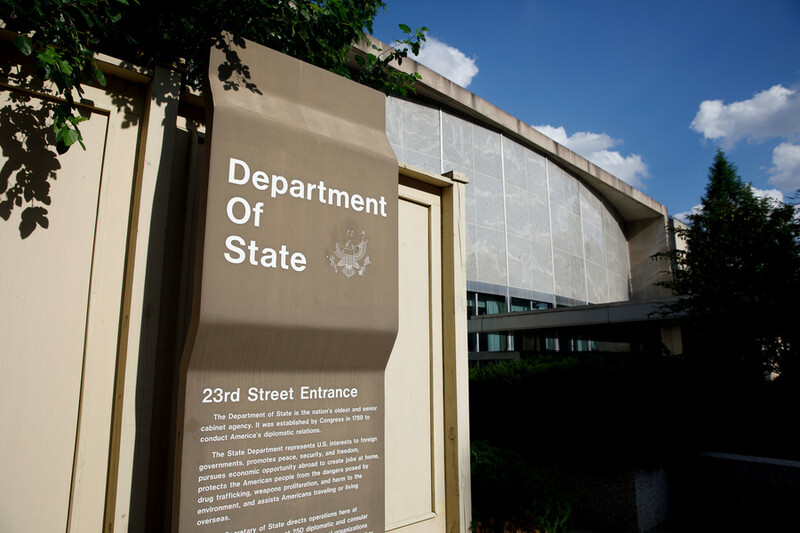 Follow RT for news and articles on the history of the US State Dept, which is headquartered in the Foggy Bottom neighborhood of Washington, D.C. It was founded in 1789 becoming the nation’s first executive department. Get news from RT on the organization of the US State Dept. It is led by the Secretary of State, who is nominated by the president and confirmed by the Senate. Don’t miss news and updates on US State Dept. policy briefings and the communication between the State Department spokesmen and Russian journalists. Read articles and expert opinions on US State Department’s statements on major political issues, such as US military actions in Syria and Iraq and US relations with other NATO members. Don’t miss news on US State Department dwelling on US-Russia relations, on the communication between presidents – Trump and Putin – and other officials, as well as on sanctions imposed on Moscow by Washington. 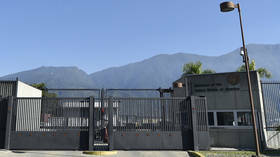 The US State Department has banned 16 Saudis it believes to be complicit in the gruesome murder of the Washington Post columnist Jamal Khashoggi from entering the US. One of the alleged culprits is not included on the blacklist. Human Rights Watch has slammed the Trump administration for promising to recognize Israeli sovereignty over the Golan Heights, describing it as sending a “wrecking ball” through the rights of Syrians living there. The US administration will not accept any gradual denuclearization of North Korea, a senior State Department official said, just as John Bolton threatened Pyongyang with tougher sanctions, following the unproductive Hanoi summit.